Now that you have completed the open back and sweetheart neckline, you ready to apply elastic to the leg openings. This technique can be used for leg openings or any closed, round opening (neck, ankle, wrist...). Overlap the elastic ends and stitch. We like sewing a little square like this. Then, fold the elastic in half (at the seam) to mark the half and join the half marks to find quarters. Your elastic is now divided into fourths (seam + 3 marks). Now divide your leg opening into fourths, starting at the side seam (find the half first, then join the marks to find quarters). Pin the elastic to the wrong side of the opening, matching marks. The elastic seam (0) should be at the half (1/2) mark of the opening (crotch lining). 4 pins, that's it! You can now put the front and back aside while you work on the bust pieces. Bust Lining Cut two of the bust linings as shown below. This will create an opening for shapers/cups insertion. We like to finish the edge with the serger to give it a bit more body. Pin the wrong side of the cut pieces on the right side of the full pieces and baste with a zigzag. Pin the lining pocket to the wrong side of the Bust piece (A) and baste all around. Make sure you line up all the notches. Once both lining pockets are sewn to the but pieces, pin them together at center front. 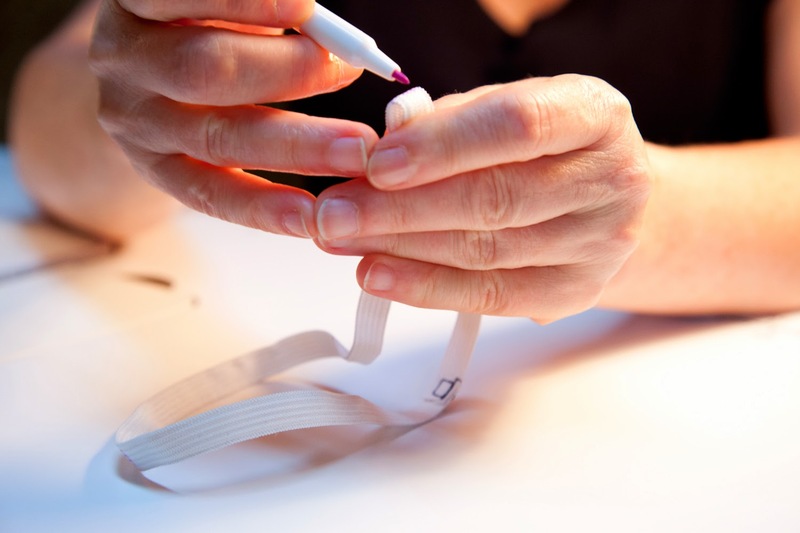 Strap and neckline Using your elastic as a guide, trace a along center front, from the notch to the bottom edge. Stitch on the line, starting at the bottom. When you reach the end of the line (notch), keep your needle down, pivot, stitch downwards. This will make the end of your stitch much stronger (you want the bust pieces to stay together! ).